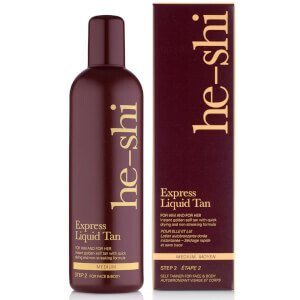 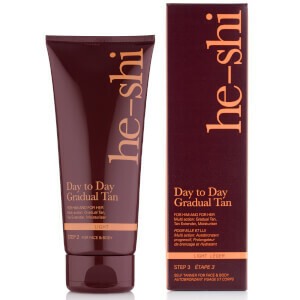 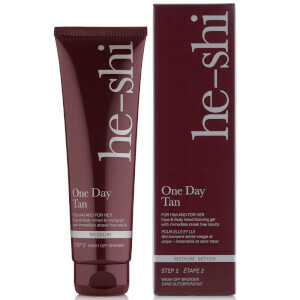 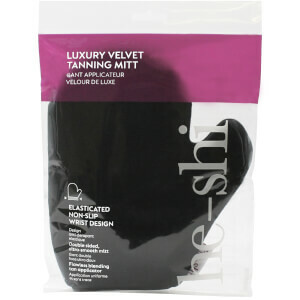 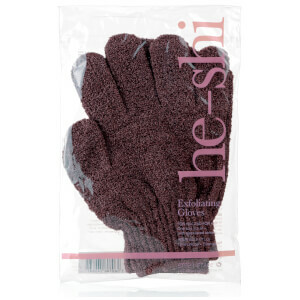 He-Shi is a range of tanning products, designed to deliver a healthy and bronzed glow to the skin. 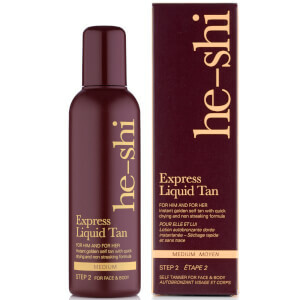 Unlike other tanning products, the He-Shi range tans the skin upon contact, ensuring that you can see what areas need blending in; reducing the risk of streaking, and orange spots. 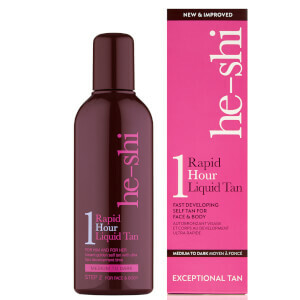 Exclusive Moisture Lock Technology keeps the skin well hydrated, so your tan always looks its best, even after you have applied and showered, while its unique formulation keeps your tan looking gorgeous for up to 10 days.